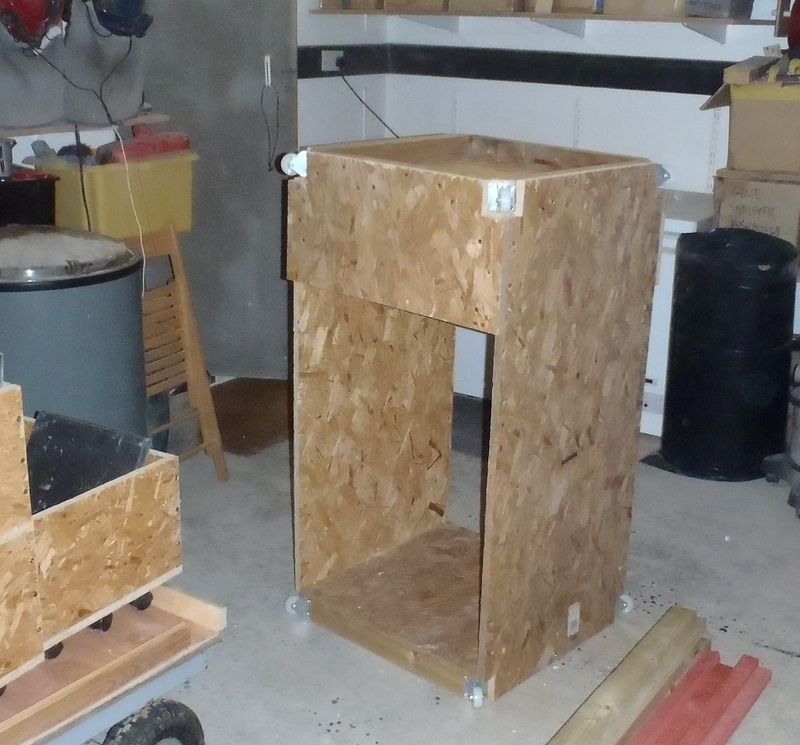 Today, we started building various pieces of equipment to help us lift our Slate tiles up to our working platform. We need a lifting mechanism to raise our dolly trolley load of slates so we created a cage measuring 2feet square by 4feet tall, with castor wheels in each corner, both at the bottom and the top. The cage will be connected from the middle point, via a steel wire, to our electric hoist and controlled by several push buttons and the cage will move up and down inside a framework to keep the cage straight and stop it twisting around or jamming up. 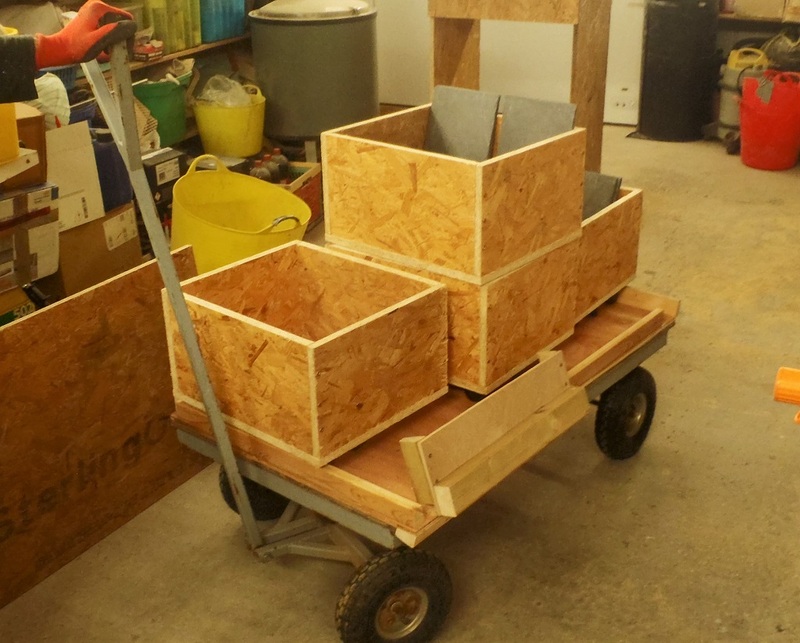 The other task was to adapt our medium sized flatbed trolley so it can transport three of our dolly boxes to and from the crates of slates, including a little ramp that will bridge the gap to the cage in our lift mechanism. Tomorrow, we will build the lift shaft, all 16feet of it! !